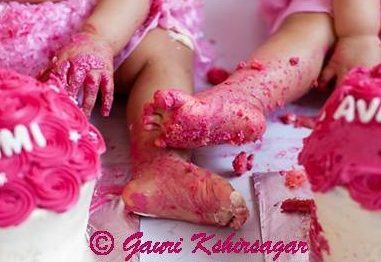 This is a blog covering the journey of raising my two twin daughters in India, and I do hope it is of some help to expectant mother of twins!!! Cheers!! When the animated film “Frozen” was released last year, no one expected it to become a worldwide juggernaut. “Frozen,” which earned more than $1.2 billion at the box office, is not only the first “princess” movie to make the list of top 10 grossing animated films, even more astonishingly, it is also the No. 1 animated film of all time. Little girls have long been drawn to princesses. My twins were born, the same year the movie was released (2013) and have literally grown up watching the movie. My twins now almost 5, enjoy re-enacting the scene when it comes on and that they never change characters; one twin always plays Elsa, and the other plays Anna. From their dramatic positions on the floor to their giggling while they run around, the twins are spot-on. Hence this summer I wanted to give them a little surprise by making these Elsa-Anna crochet wigs made of beautiful yarn. There are variety of ways by which you can make the wigs, like partial beanie hat with the fringe having the yarn hair or whole set of yarn hair. In any case you will need a simple knit beanie hat which you can knit on your own or buy from a store. I made my own beanie hat using double stitch crochet, which is very easy sticth to hook up the hair. Make sure the hat is a bit loose and the knots are not too tight. Yarn: I have used 100% 8 ply acrylic yarn for the whole project. You will require about 250-350 yards for each wig. The colours can vary according to your taste. My daughter wanted an off-white colour for her Elsa wig instead of white. I have used a dark brown colour for the Anna wig. Rounds 6 – 18: Ch2, 1dc in next st and in ea st around, sl st in top of 2ch to join – (54) Fasten off and tie in all tails. Take 4 strands for each weave. Weave along the fringe/brim of the beanie hat. You can make some wispy fringe of bangs in the front to frame the face. Weave along the centre of the beanie hat as shown in the picture. Add a white/off white strand on the right side. Add some wispy fringe of bangs in the front to frame the face. *Thanks a lot for visiting my blog. Please do ‘★ LIKE’ the post if you found it to be useful.Your comments, suggestions, criticism and all opinions are very much appreciated. Please do write your queries in the Reply/comments section and I will try to get back to you asap. 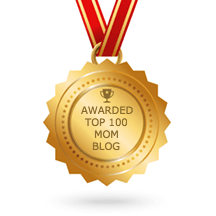 One of the Top 100 Mom Blogs on the web.